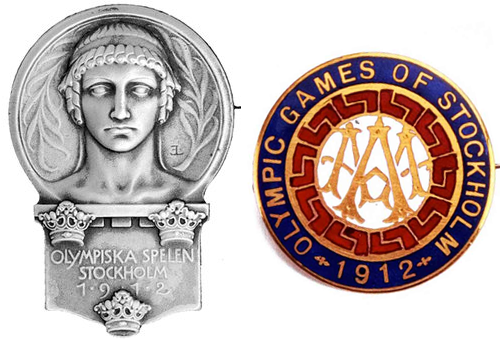 These primary badge design for the 1912 Stockholm Olympics features the bust of Pallas Athene over the three crowns of Sweden. The status of the badge owner was noted by colored ribbons provided with the badge. Some organizing groups such as the Amateur Athletic Association also produced badges for their members.